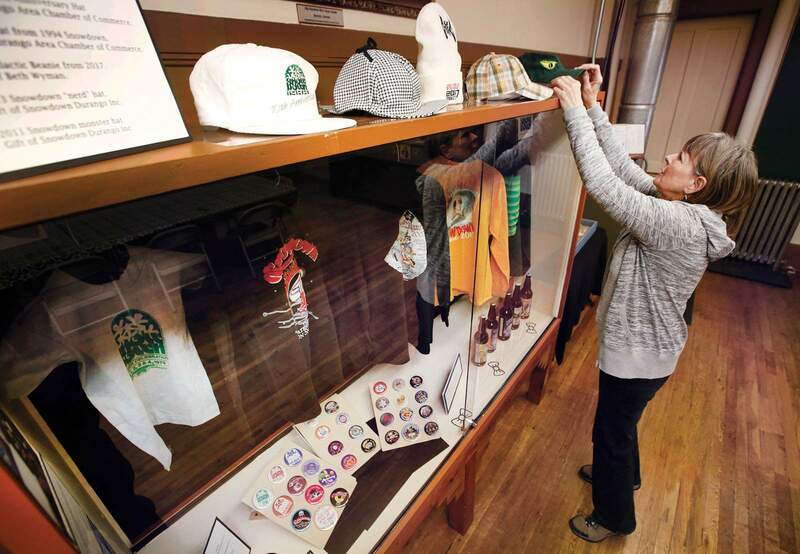 Cheryl Bryant, vice president of the Animas Museum Board, describes a display of Snowdown memorabilia, which will be featured through Feb. 17. The museum, at 3065 West Second Ave., is open from 10 a.m. to 4 p.m. Tuesday through Saturday. 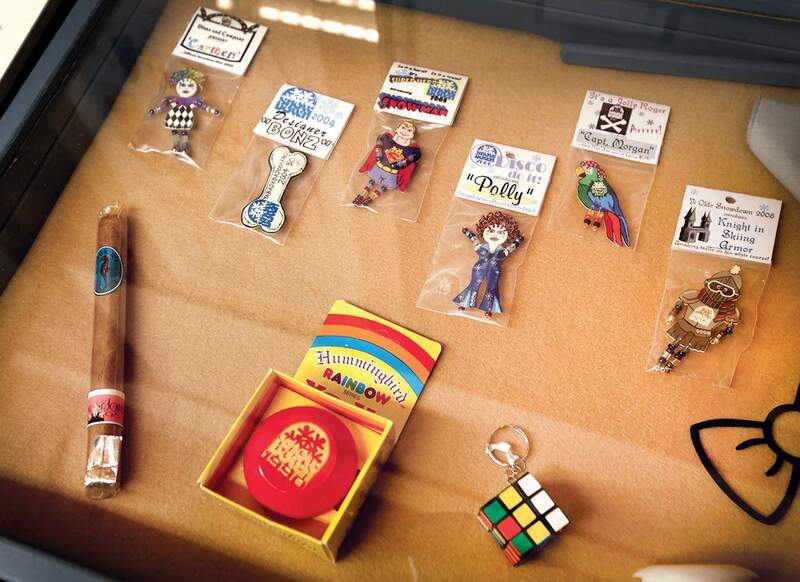 Items such as a cigar, a yo-yo and pins are featured in an exhibit of Snowdown memorabilia at the Animas Museum.